For additional information, contact us at info@TheCreativityConnection.com. We have been searching for a text by a family caregiver that we can recommend unreservedly, and now we feel we have found one in Love in the Land of Dementia: Finding Hope in the Caregiver’s Journey by Deborah Shouse. Whilst never denying the down-turns in caring for someone with Alzheimer’s, Deborah is intelligent and sensitive enough to notice all sorts of things which bring situations alive, give people hope, and constitute treasurable epiphanies. This story has enhanced the way I work with families and is a valuable tool when families and caregivers feel there is no hope left in the disease journey. This book should be mandatory reading for anyone working with a person experiencing dementia. 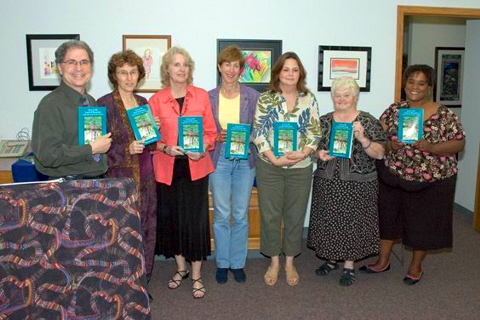 June 18, 2006, our Wednesday Book Club featured Deborah Shouse’s book, Love in the Land of Dementia: Finding Hope in the Caregiver’s Journey. We found this book to be respectful of the human condition and flowing with literary style. Our Club looked closely into this subject matter of illness, embraced the stories and applied them to a broader range of live events. The human condition is indeed a fragile one, but exploration into the high and lows of hope is an integral part of living. This book is more that a caregiver’s journey. It is a life journey. All of the components for a good discussion in a book club are here. When the book is finished and the discussion begins, readers come away with a sense of renewal. Storytelling is an art and Deborah Shouse has taken it to a new level. Love in the Land of Dementia is a must read for all of us. Each story in Love in the Land of Dementia is like an exquisite jewel. I have nearly 40 years of walking in this countryside of dementia and I enjoyed enormously your work. Your words filled me with joy. The intonation, the focus, and above all the tenderness and seriousness of the way in which you touched on the theme, was wonderful. You have opened a window to the Alzheimer’s experience that is both positive and practical. You have illuminated the profoundly human experience of those who care for and journey alongside patients with dementia, which is something that is only lightly touched upon by the medical model. I started reading Love in the Land of Dementia and couldn’t stop until I came to the end. I was totally enthralled and so moved. This is a great story of love, very meaningful and personal. This book was a real gift and a healing experience. —Annette Richard, Psychologist, psychotherapist, and daughter of a woman who had Alzheimer’s. I was moved to tears and then with the turn of a page, Deborah Shouse’s masterful writing brought a smile to my face and joy to my heart as she took me beyond the “appearance” of the dementia patient to the strong connection and love we all share as travelers on this planet. Love in the Land of Dementia is an insightful journey of a daughter as her mother progresses through the stages of Alzheimer’s disease. There is wisdom in every anecdote and Deborah Shouse’s unique perspective provides caregivers and family members hope and meaning. In Love in the Land of Dementia Deborah teaches us that the best way to deal with a person afflicted with Alzheimer’s is with love and understanding. Through Deborah’s writing, one can see that even when there seems to be nothing left, there is still dignity in the person. Let us not forget that. Thank you, Deborah, for Love in the Land of Dementia. Wow! What a beautiful piece of writing. Reading Love in the Land of Dementia is a journey of faith. It is so easy to go through life hoping the hard things won’t come your way. Deborah Shouse’s stories about her journey with her mother are so real. They are written in such a way that – whether facing the issue of Alzheimer’s now … or in the future – hope and fortitude are added to your arsenal of life’s tools. I highly recommend this book for anyone who might possibly be in a caregiving situation someday (that is all of us). It is a resource that should be close at hand at all times, for everyone. Thank you for sharing this journey..
Deborah’s words take your heart to new places in this carefully and lovingly woven literary tapestry. Her honesty and compassion simply shine in this book, showering us all with the unique and uplifting insights she gained while on the journey of her mother’s Alzheimer’s Disease. So, be prepared for some surprises and be prepared to let your heart soar. Deborah Shouse writes with a clarity that brings readers into the picture, but more importantly, it brings readers into their hearts. 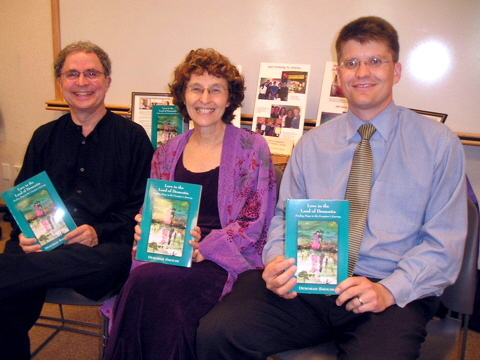 This book inspired tears of compassion and joy for the beautiful human beings chronicled. —Robert Brumet, Chairman, Pastoral Studies, Unity Institute, Unity World Headquarters, Author of Finding Yourself in Transition and The Quest for Wholeness. Love in the Land of Dementia is insightful, witty, honest and genuine. This is an excellent book not only for people who have aging parents, but for all those who want to learn about themselves. I highly recomment it. Deborah poignantly describes her mother’s descent into illness. Her strength becomes the voice of soulful warmth that helps all of us who have known the painful mysteries of Alzheimer’s dementia. Her clear description of the progression of the illness provides the validation that family members and caregivers need in order to intervene as early as possible. Thank you, Deborah, for this book and its gift of insight. Love in the Land of Dementia so wonderfully illustrates that dementia and the dying experience can be graceful, even beautiful. Deborah’s words made me feel more deeply connected to people who have Alzheimer’s, and I felt I had lived just a bit of what it means to be a daughter of a woman with dementia. I truly enjoyed reading this. It was a wonderful and moving experience sharing one family’s journey through Alzheimer’s. This book will be a great comfort for family caregivers. For people working in health care, this book offers insight into the family and a reminder to continue to recognize the personhood of those with dementia, however much their way of being may deviate from usual behavior. In Love in the Land of Dementia Deborah Shouse has given the reader a realistic picture of the kinds of changes that occur as persons develop Alzheimer’s Disease. She describes the disappointments and the small joys in sharing this experience with her mother and her father. The description of the Alzheimer’s ward should be helpful to others moving toward that experience and to health care providers who work with those with Alzheimer’s or other neuro-degenerative disorders. 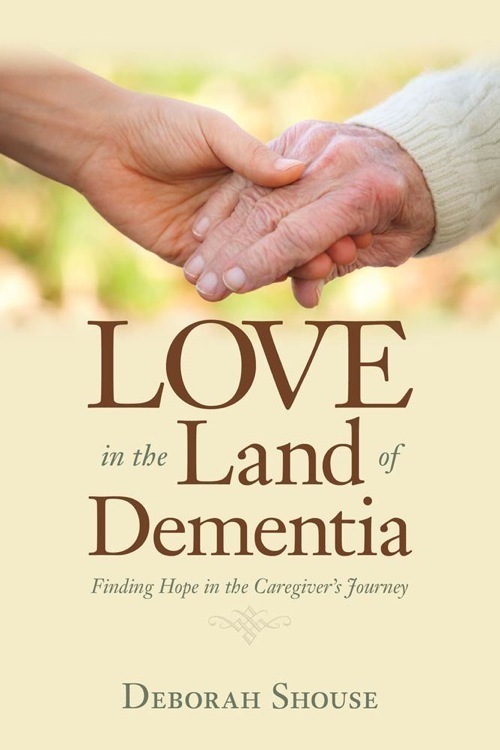 The book is unique in many respects and does indeed, show the importance of love in the land of dementia. Poignant, thought-provoking and kind—Deborah’s stories about the journey through dementia touched me in profound ways. She tells a story that brings both smiles and tears, and introduces the reader to the emotional world of people with Alzheimer’s Disease and their families in a deep and experiential way. I am very grateful that these respectful stories have been written, and I recommend the book highly. Deborah´s book is so beautiful that it's hard to find words....... Not only does it read with a flow and grace, but it captivates immediately, and I was hungry to keep reading. The next time I become impatient with the slowness of my mom´s thought processing during our nightly phone conversations, I will remember to cherish every precious second!! Thank you for this gift, Deborah!